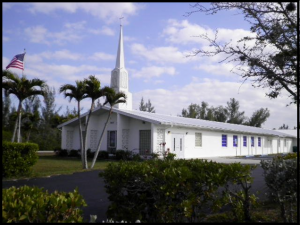 First Baptist Church of St James City is a small community church located at the south end of Pine Island in beautiful St James City, FL. The foundation for our faith is the Bible and Jesus Christ as our savior. Many of us are snowbirds and have associate memberships here. We have Men’s, Women’s and Youth ministry’s, coupled with community involvement. Wherever faith and life intersect you find yourself in First Baptist Church of St James City provides Christian ministries to help you navigate every stage of life. The Bible teaches that there is one God, eternally existent in three persons: Father, Son (Jesus Christ) and Holy Spirit. These three exist in unity with different roles, yet full equality. The foundation for our faith is the Bible. The sixty-six books were inspired by God through human writers, are error free, and stand as the final authority for life spiritually, physically, emotionally and relationally. Scripture, at one and the same time, speaks with the authority of God and reflects the backgrounds, styles, and vocabularies of the writers.